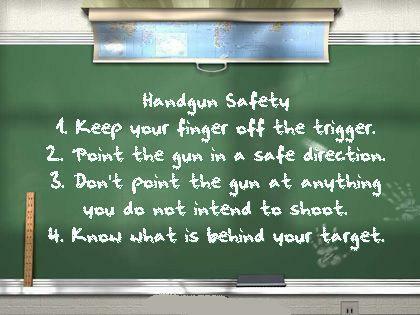 This Gun Safety section is brought to you by Jim Supica at ArmchairGunShow.com - thanks Jim, good job! Link to Jim's website at: armchairgunshow.com. Never carry a handgun tucked into your belt or waistband without a holster (i.e., so-called ``mexican carry''). A handgun carried in this fashion may be unintentionally dislodged, fall onto a hard surface and accidentally discharge or be damaged. Inside the waistband-type holsters will allow you to obtain the concealment of this type of carry while simultaneously providing vastly improved firearm retention.